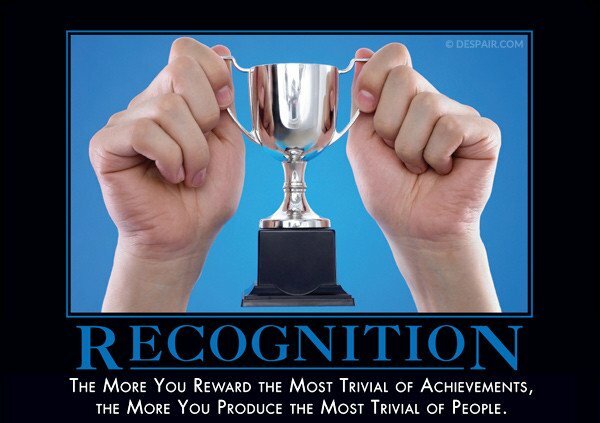 When done badly, employee recognition is a thankless and fairly useless HR function. A company can be a good employer, or just try to look like one. Birthdays, holidays, retirements, manufactured “of the Year” employee recognition awards are often the latter. Search for recognition gifts and you will see ads for the most useless, wasteful crap. Spoiler alert: a logo mug or a plastic trophy don’t impress most employees. These are thoughtless, insulting tokens that show zero appreciation for who an employee is, to type nothing of how they trivialize the value a good employee contributes to a company. Inspired by a true story: An excellent front line (ergo, no office) employee celebrated 10 years of service. Employee Relations didn’t talk to a supervisor about how best to recognize the employee. Human Resources didn’t conduct a stay interview with the employee, or do a performance review to see where to advance them within the organization. The employee was recognized with a small plastic plaque and a logo key chain. Found in a manager’s office. Two years after the 10 year anniversary it was meant to recognize. FACE. PALM. Homage demotivator, can’t find the original author to credit. A generic and impersonal $50 gift card would have 1) cost the same and at the very least, 2) been almost useful. ER and HR often have little dealings with employees after onboarding*. United has PR reporting to HR and we all know how well that didn’t work. Because it cannot be typed enough, silos are bad. THIS is why I want to do Internal Communications. I want to be part of the team that drives company culture and reputation. That starts with breaking down the silos and working together. That starts with building relationships and better communications. The Genuine Cost of Appreciation. Taking the whole company on a cruise is great, not always doable. If 35 people celebrate their work anniversary in 2018, that’s 35 opportunities to go on a picnic, work a half day, or take in a ballgame. Little things that could make a big difference. Take the time and get to know employees. Sales manager of the year is a beauty geek? Give her that subscription box she’d never buy herself. 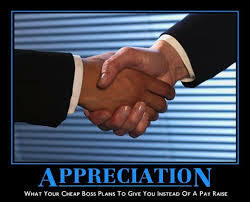 It costs almost nothing, yet shows genuine appreciation to an employee that really helps your brand. NOT knowing your employees, not building those relationships can have even greater costs. High job turnover, lack of productivity, lackluster performance, poor referrals are only a few challenges that can have big impact. Your employees work hard. At least once a decade, do a better job of recognizing it. *LOVE that WordPress flags that ‘word’ as misspelled!! Broadway Plays Marketing Moneyball. Hype Wins.